Once I got a couple of weeks into my training schedule and started building up the mileage, something became really evident: I was hungry all. the. time. I imagine this is how it feels to be pregnant. I would eat and be hungry 10 minutes later. It's funny because you would think I would have maybe lost a little weight during this grueling training process of running all the time, but not so. I think I lost a couple of pounds in the past four months, but that's it. I consumed way more calories than I usually do in a given day, but let's call a spade a spade. I was also burning way more calories than I usually do. Snacking became a struggle because it was so easy to grab a cookie or some chips every time I was hungry. And like I said, I was hungry all. the. time. I had to get creative and find snacks that would curb the hunger but that also weren't terrible for me. 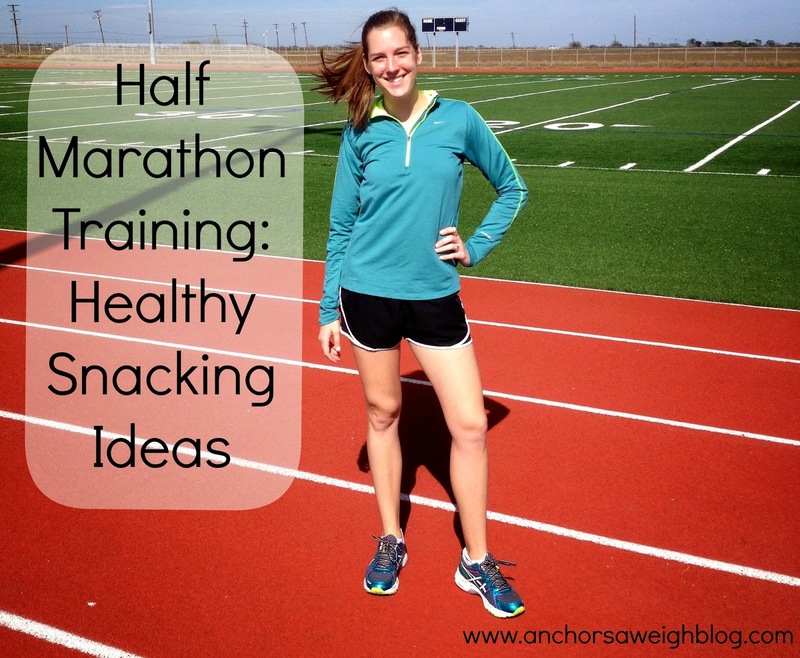 I would have hated to gain weight during the half marathon training because of my appetite. The thought of that just seems counter-productive and downright depressing, so the quest for healthy snacks was in full effect. What I found is that the healthier snacks were actually much better at curbing my appetite than the cookies were. Win win, if you don't count the fact that I didn't get to eat the cookie. So what did I eat to curb that constant hunger during half marathon training? I want to share a few of my favorite snacks that were actually enjoyable to eat! 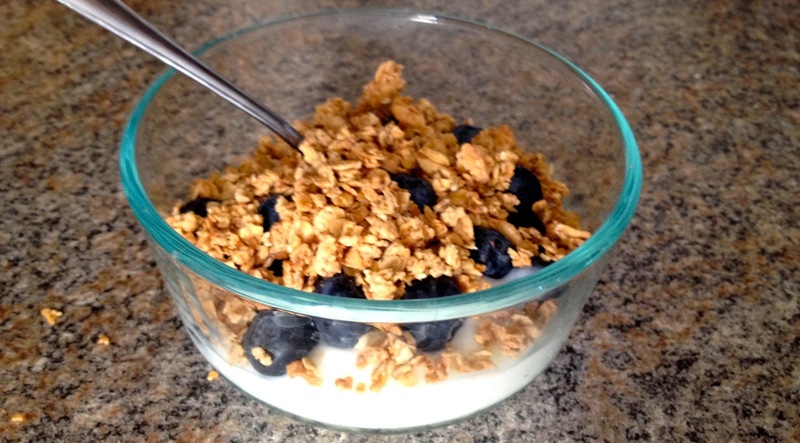 Nonfat Vanilla Yogurt, Blueberries, and Granola. This was hands down my favorite snack and my #1 go-to after a run. It has enough substance to keep me full for a couple of hours, and let's be honest, it's completely delicious. I used Dannon Light & Fit Vanilla yogurt. It is 110 calories for 1 cup and lower sugar than the other options. I know people rave about Greek yogurt, but I preferred this option, primarily for the taste benefits. I rediscovered these later in my training, but I was hooked. I say rediscovered because I absolutely loved pistachios growing up but had completely forgotten they existed. I also liked that I had to crack each one. It kept me from eating handfuls at a time. 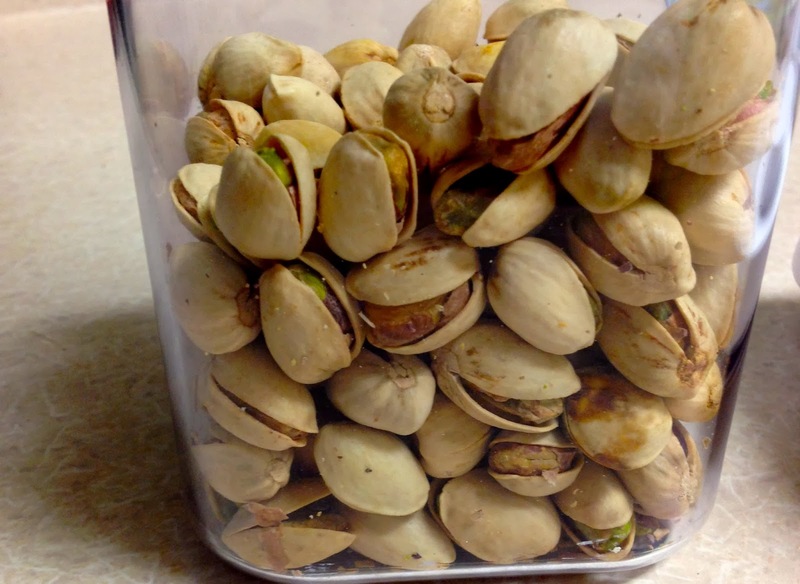 Let's face it, nobody has time to sit there and peel pistachios for 30 minutes. I'm not going to sit here and tell you this was a substantial snack that really curbed my hunger, because that's a lie. Rice cakes aren't heavy and therefore made a good snack if I just needed to make it an hour until dinner. I actually bought these out of peer pressure because a lady at the grocery store said they were delicious and I had to try them. Apparently I can't say no to a perfect stranger, so in my cart these went. No regrets here! 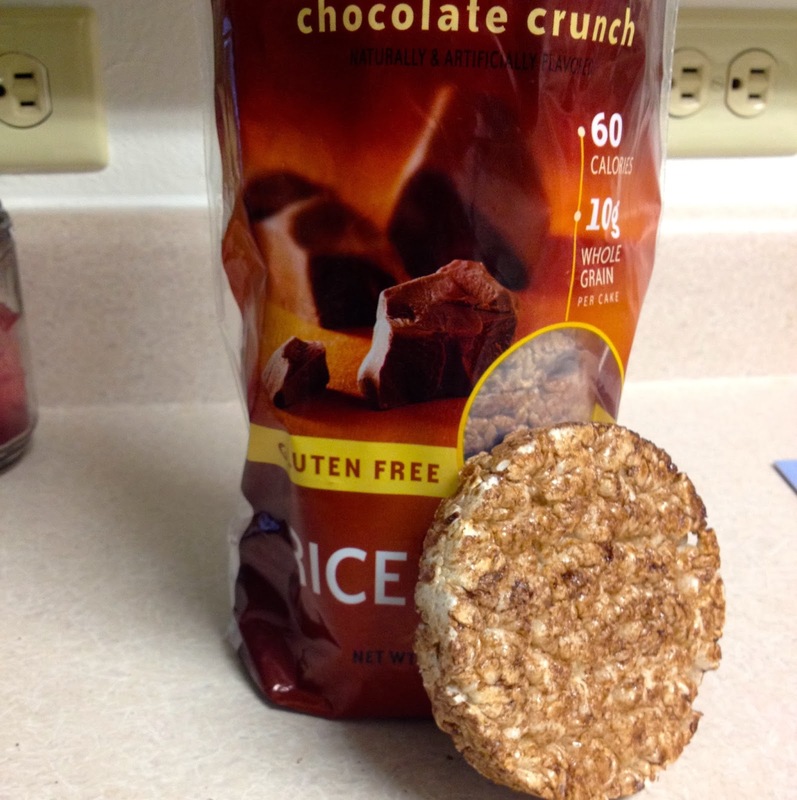 These rice cakes actually have little chocolate chunks in them. Winning. This was the perfect healthy snack after a long run. I don't eat the yolks, but I ate hard boiled egg whites like they were going out of style. Simple. Healthy. Sustaining. Enough said. The only downside to this snack is that you have to peel the shells off. This wouldn't be a downside if I didn't have the patience of a fruit fly. 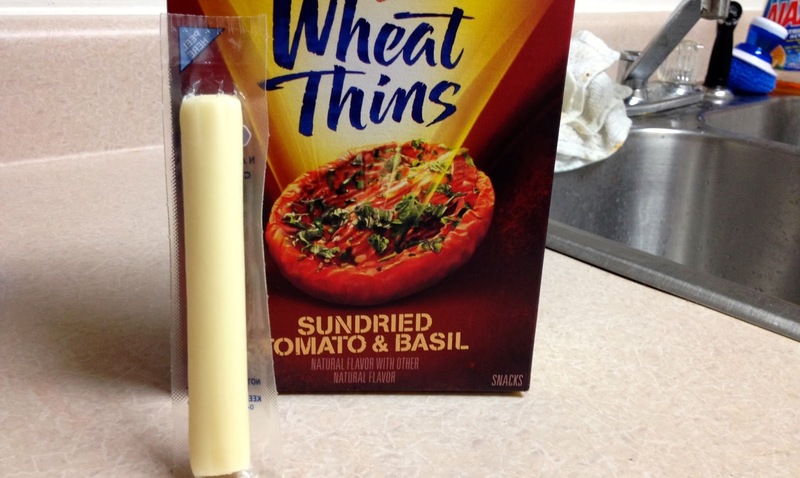 Sundried Tomato & Basil Wheat Thins and a Cheese Stick. This is something I munched on consistently throughout my training. I like these 2% milk cheese sticks by themselves, but paired with a sundried tomato & basic wheat thin, you've got a match made in heaven. If you haven't tried these wheat thins yet, do yourself a favor and go grab a box. What are your go-to snacks after a long work-out? I am always looking for new ideas! I love hard boiled eggs as snacks! Sometimes unjust microwave egg whites with frozen veggies (onions, peppers and celery mix) for a quick breakfast or snack. I've just started experimenting with low calorie protein shakes for after my most intense workouts or longest runs. I'm only training for a 10k and also trying to lose a few pounds. I know plain broccoli sounds gross (and it is) but I eat it everyday to fill up. Also, raw zucchini cut into "straws" is a great low cal snack (I think around 30 calories for a whole zuchini). I typically eat a banana and a have a glass of milk after a long run. Kind of boring! hard boiled eggs are one of my favorite snacks!!! Yum! When I was training for my half, I think I gained like 2 or 3 lbs from all the food I needed to eat to have energy to do some of the longer runs. And for the record, I think the first 5 months, I was only a normal amount of hungry or less hungry than usual (the nausea most likely) but now I'll go ahead and say it's similar to the running hunger...but I still think I was hungrier when I was running a lot! Yogurt and granola all day. Seriously. Also, string cheese. Yes please! Pistachios are my weakness. I have a rice cake everyday too but the caramel ones. So good! I love Wheat Thins but I limit them, the flavor on those though are so good. Great post!I can't say I have a go to snack but I would definitely go for a banana and some raw almonds! Fruit is always a good go to because it can help with the soreness too.